An effort to clean up VI beaches ramped up this fall. Coast Weeks Kick off Cleanup happened Saturday September 15 from 9 am to noon at Brewers Beach in St. Thomas. Volunteers removed debris and record and documented what they are picking up and how much of it. 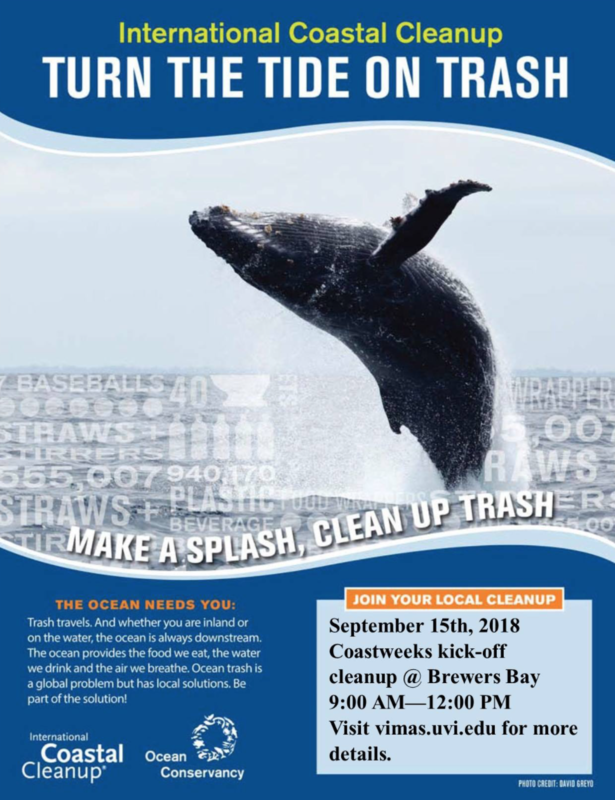 Coastweeks officially begins on September 15th, 2018 and will continue through to October 31st. This Saturday 22nd, 2018 at Red Hook Salt pond from 9:00 AM – 12:00 PM.